A "No Discharge Area" or "NDA" is a federally designated body of water where the discharge of both treated and untreated boat sewage is prohibited. 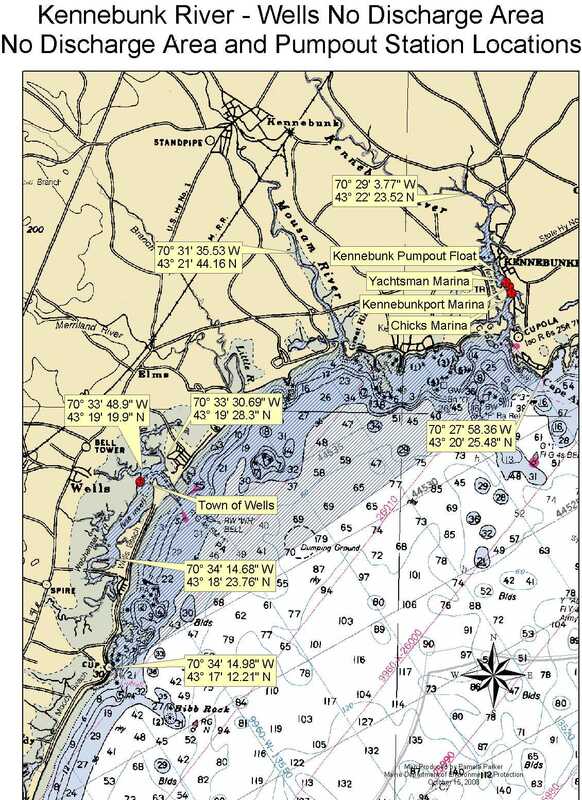 Federal Law prohibits the discharge of untreated sewage from vessels within all navigable waters of the United States , which includes waters within three miles of shore. 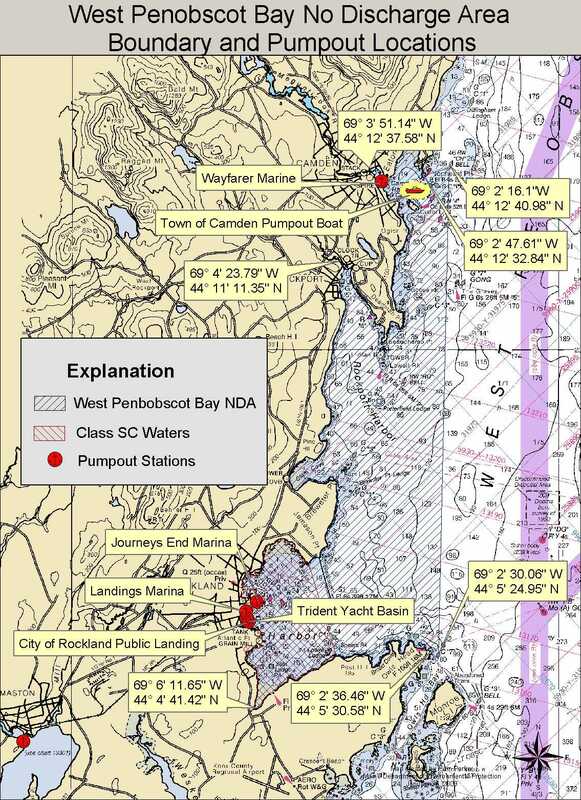 Within NDAs, only Type III marine sanitation devices may be used. It is typically a holding tank, but may include other types of technology including incineration, recirculation, and composting. 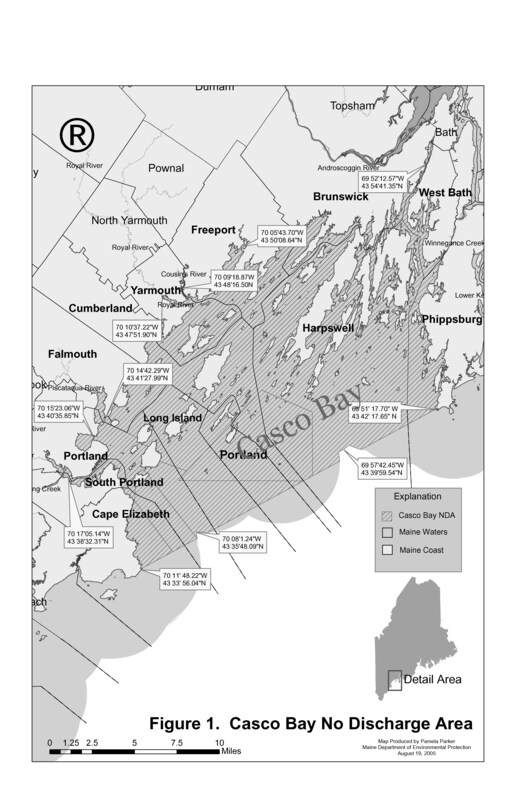 States can apply to the US Environmental Protection Agency to designate an area as a No Discharge Area if the state concludes that additional protection from the impacts of boat sewage is needed to protect public health, sensitive environments and shellfish resources. Class SA Waters. 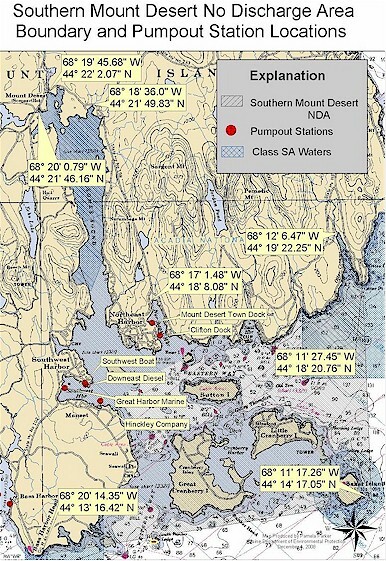 Class SA is the highest classification of estuarine and marine waters. This classification is applied to waters that are outstanding natural resources and that should be preserved because of their ecological, social, scenic, economic or recreational importance. There may be no direct discharge of pollutants to Class SA waters, except storm water discharges that are in compliance with state and local requirements. For information on the NDA program, contact Pam Parker 207-485-3038. 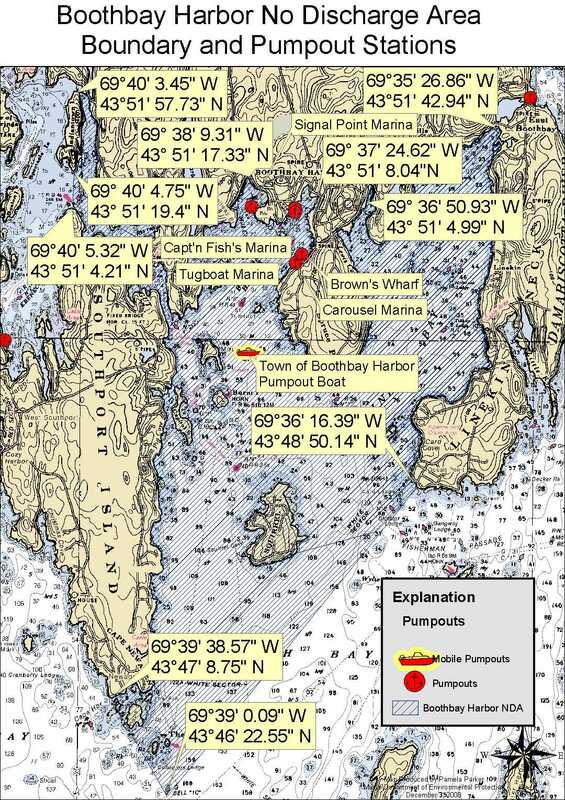 Maine currently has five No Discharge Areas. The following map images are large in size to show the location and boundaries of the NDAs.